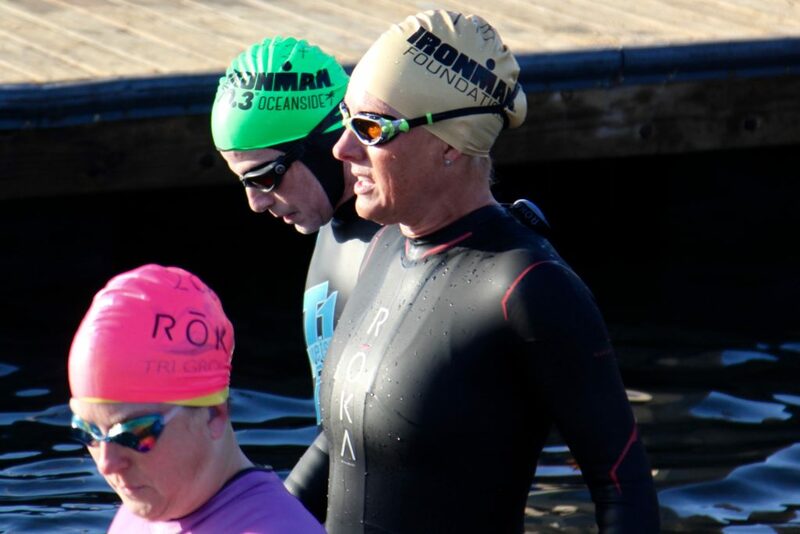 The IRONMAN race season officially kicked off last weekend as the IRONMAN Foundation traveled from coast to coast to support 310-plus IRONMAN Foundation Athletes and lead the second service project of the 2018 season. The week started with a Team IMF Shake It Out Run and breakfast at Petite Madeline Bakery to celebrate the team’s fundraising efforts. 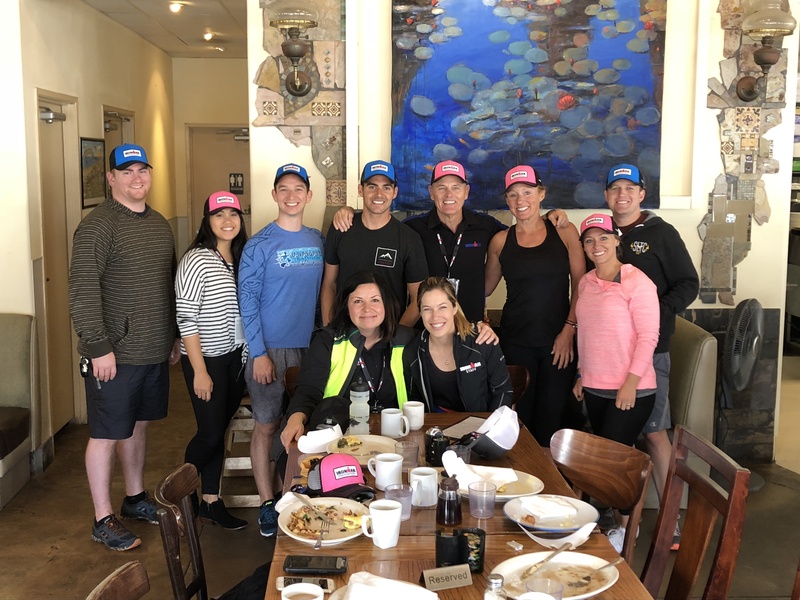 Team IMF bonded and was welcomed by surprised guests, IRONMAN Foundation Ambassador Team Captain and the “Voice of IRONMAN” Mike Reilly, and the Acting Executive Director of the IRONMAN Foundation, Sarah Hartmann. 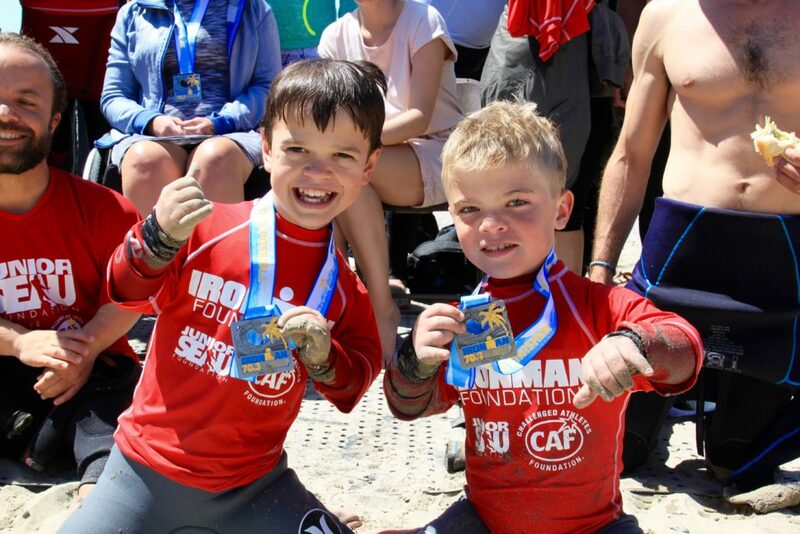 Together, 10 Team IMF Athletes at IRONMAN 70.3 Oceanside raised $19,000 dollars, bringing the overall giveback to the Oceanside community to $33,000 in 2018. The team was pumped and eager to toe the start line the next morning and were ready to dedicate their races to their race community. Their incredible impact will be left long after race day. As race day flew by, so did our Team IMF Athletes. Race day conditions could not have been anything shy of perfection. The water conditions were smooth as glass; the bike and run courses were welcoming with a beautiful breeze coming off of the ocean. After all Team IMF members had crossed the red carpeted IROMAN finish line, it was time to recover and prep for the amazing day they had ahead of them— our service project day. 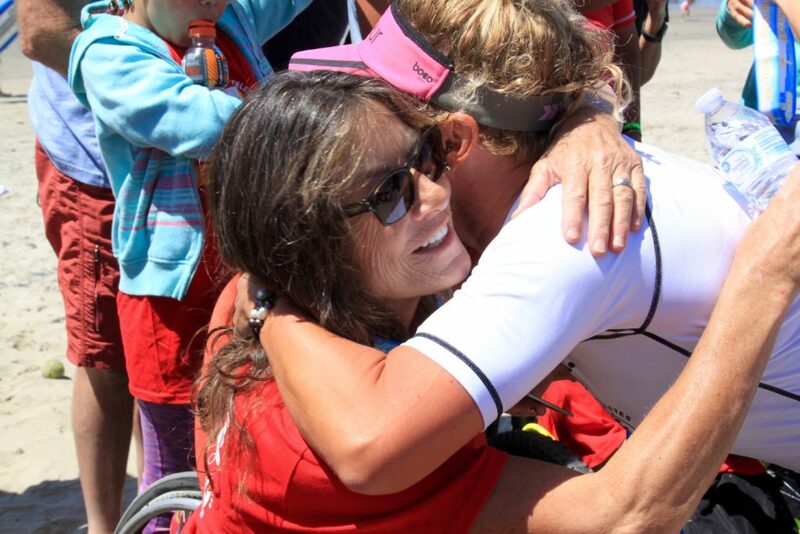 More than 50 athletes returned to the IRONMAN finish line on Sunday morning to start what would be a great day of changing lives. 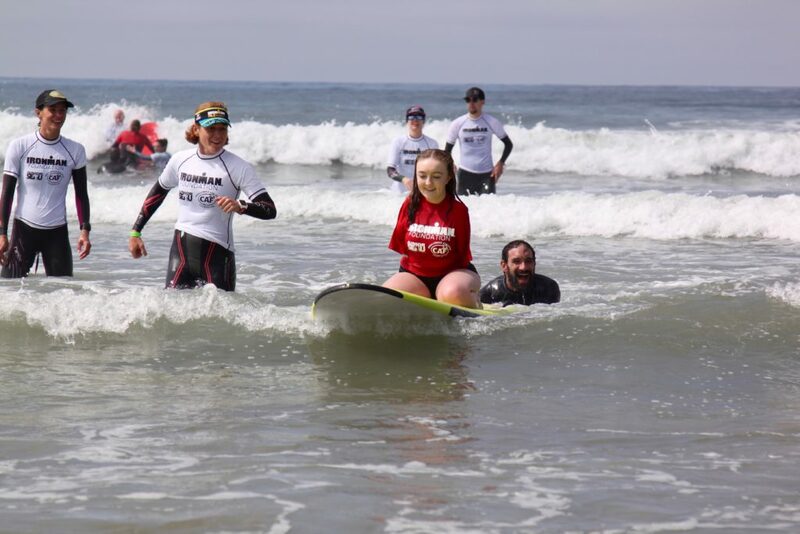 In partnership with the Junior Seau Foundation and the Challenged Athletes Foundation, 30 youth, women and men with physical challenges learned how to surf with the help and support of the amazing IRONMAN Foundation Volunteers . It was a day filled with smiles, laughter and a few happy tears as Volunteers, participants and spectators were impacted. 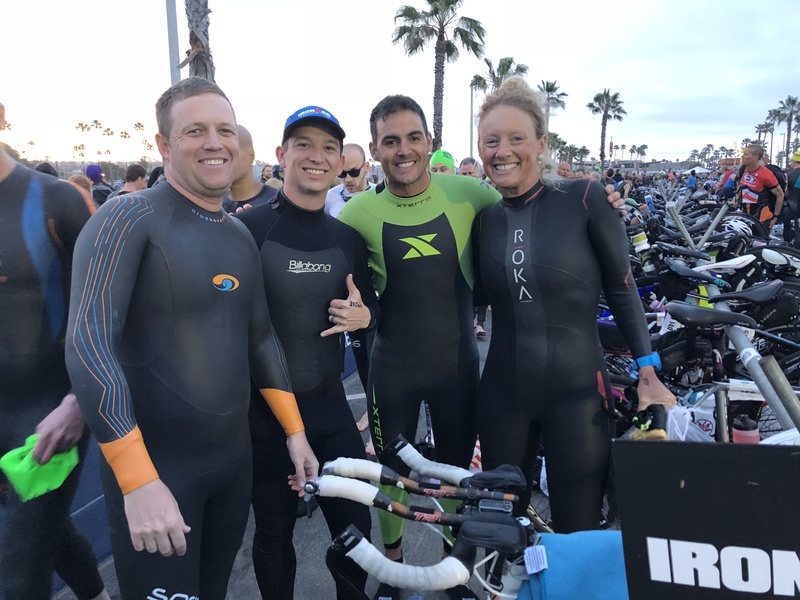 Four IRONMAN Pro Athletes jumped in and assisted with spotting our surfers, including second year participant and IRONMAN World Champion Lionel Sanders. 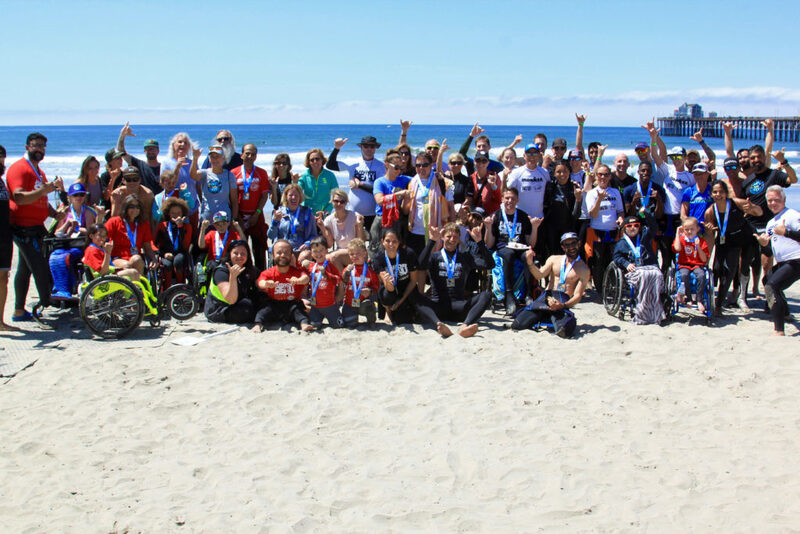 At the end of the clinic, all participants were awarded IRONMAN 70.3 Oceanside race medals, and both volunteers and participants were left with memories to last a lifetime. 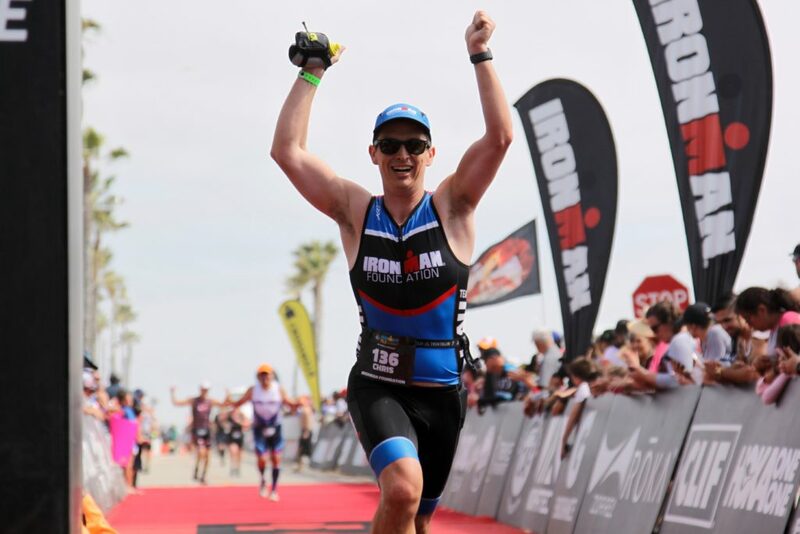 Thank you, IRONMAN 70.3 Oceanside, for a memorable 2018 race week. We look forward to returning in 2019 and continuing to leave a tangible impact on this race community! 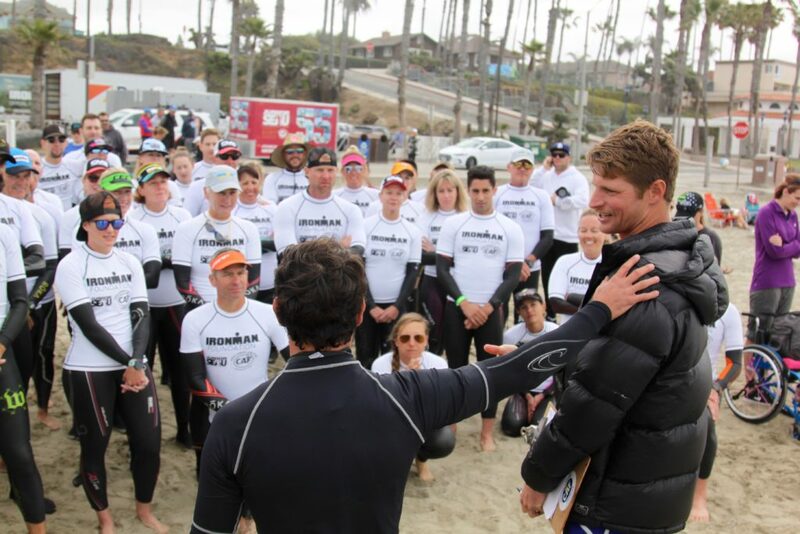 For more images from our weekend at IRONMAN 70.3 Oceanside and from the Service Project, keep scrolling! 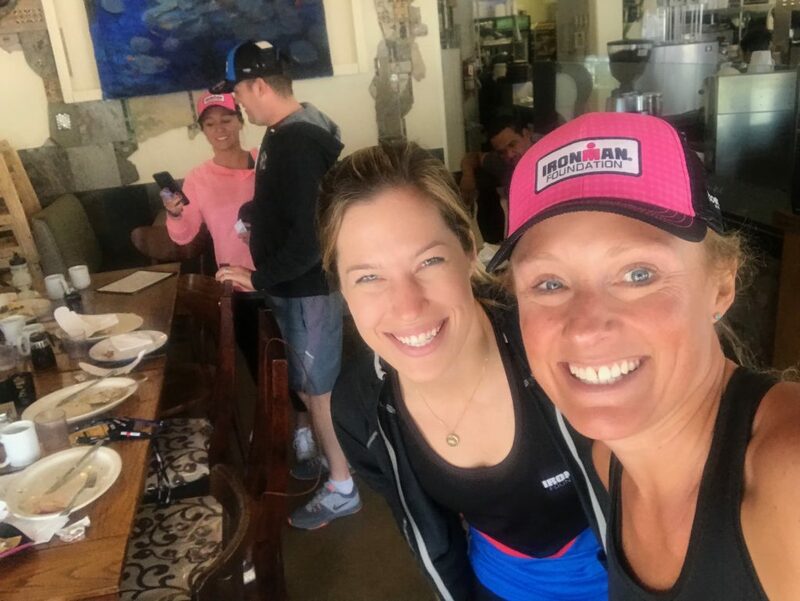 IRONMAN Foundation’s Program Coordinator Morgan Pappas and Team IMF Athlete Bethany Smith enjoying breakfast after their Team IMF “Shake It Out” run. 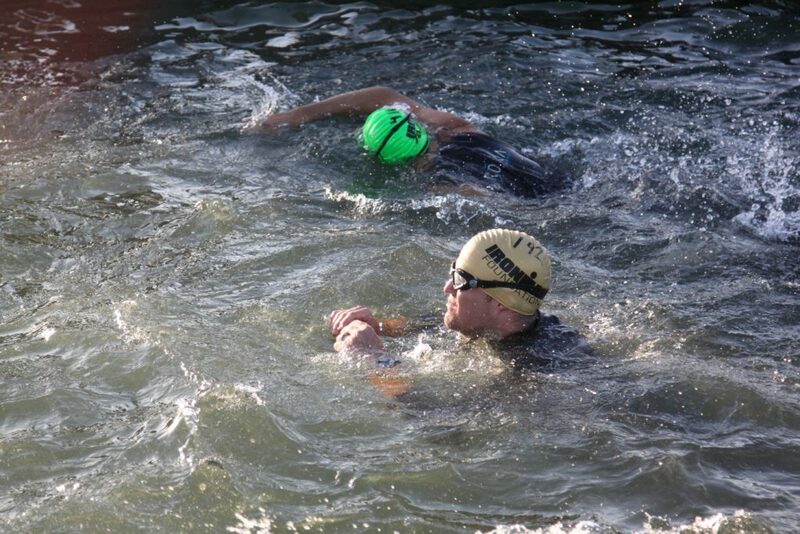 Team IMF Athlete Zach Shore hits the water. Bethany Smith is ready to start her race day! 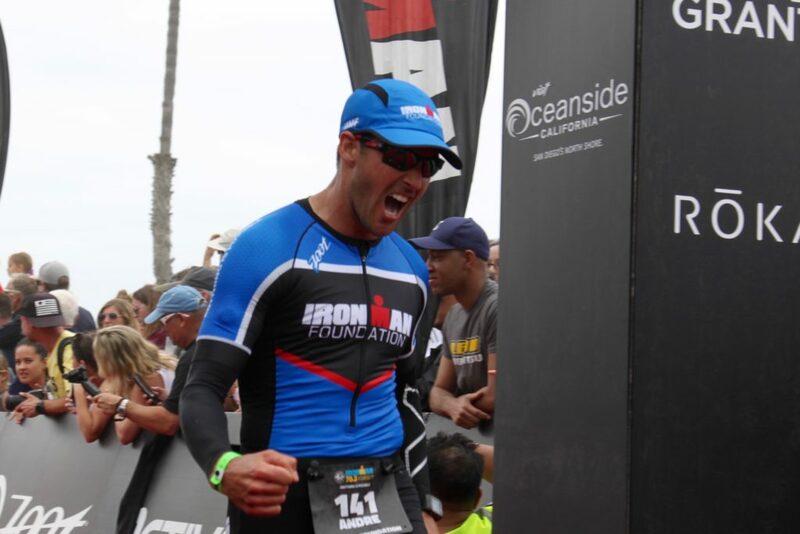 Andre Rodrigues rocking his Team IMF kit as he crosses the finish line. First timer Chris Alberg, stoked to be running down the IRONMAN 70.3 red carpet. 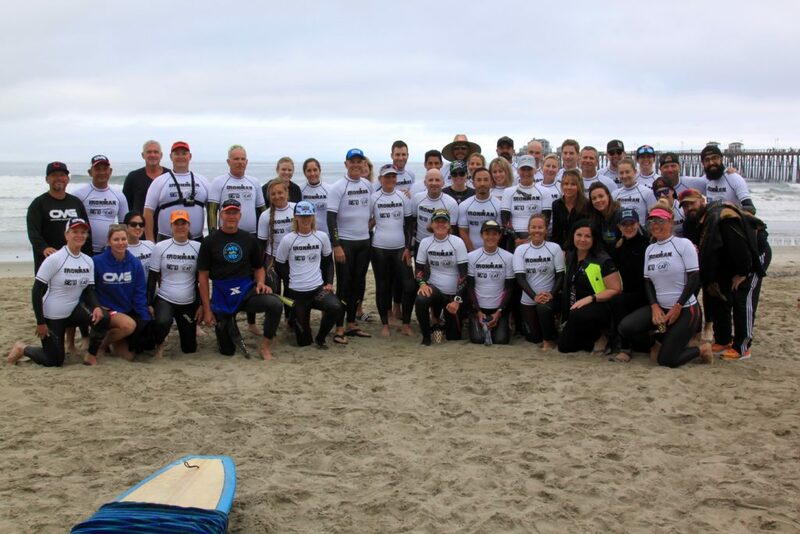 What an awesome IRONMAN Foundation Volunteer group! Coaches from the Junior Seau Foundation giving instructions to the volunteers. 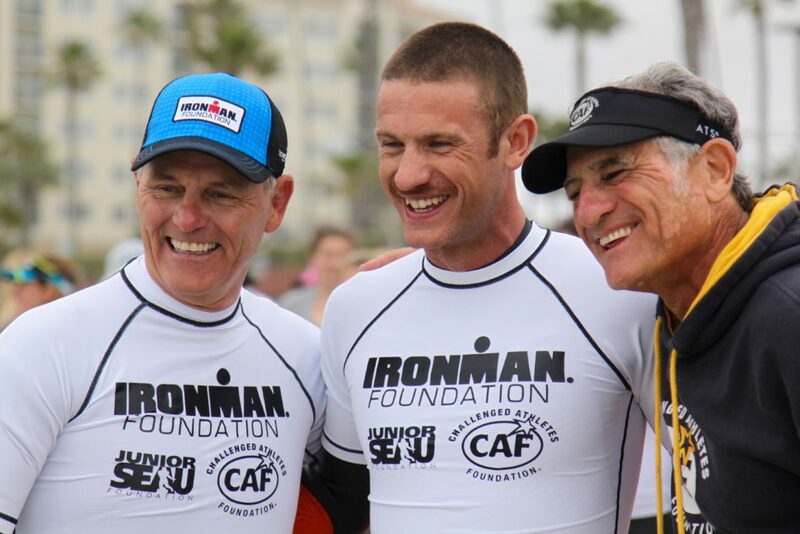 IRONMAN Foundation Ambassadors Team Captain Mike Reilly, IRONMAN Pro Athlete Lionel Sanders, and the Challenged Athletes Foundation’s Bob Babbit ready to teach our participants how to surf! 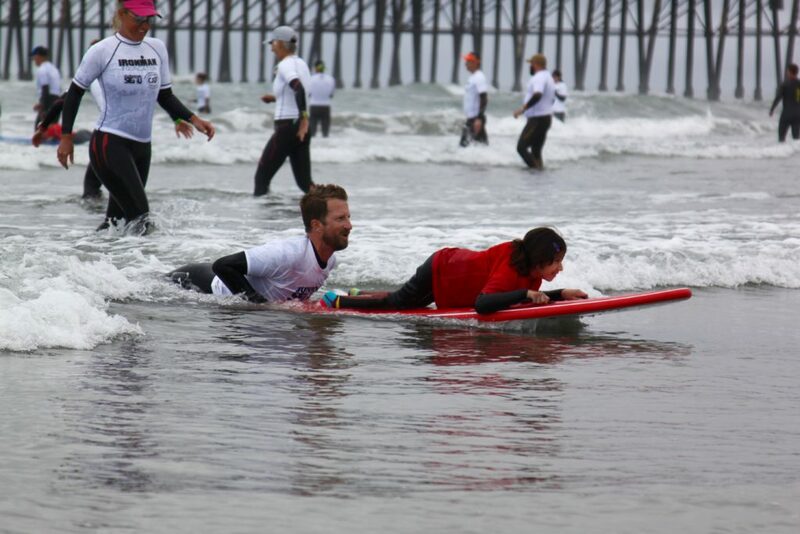 IRONMAN Pro Athlete Scott DeFilippis greets one of our participants for the day. Hugs all around as volunteers medaled all participants. These two rocked it! Thank you to all of our awesome volunteers!